In the 80s, when guests used to visit our home, they would bring home a pack of Milk Bikis biscuits for us (kids) and some fruits for the elderly. For ailing members of the family, it would be a jar of Horlicks. Now, whenever any guests visit us or vice-versa, my 5-year old always gets a pack of Oreo biscuits. Though I don’t buy any biscuits for her, somehow these Oreo packs find their way into my pantry. 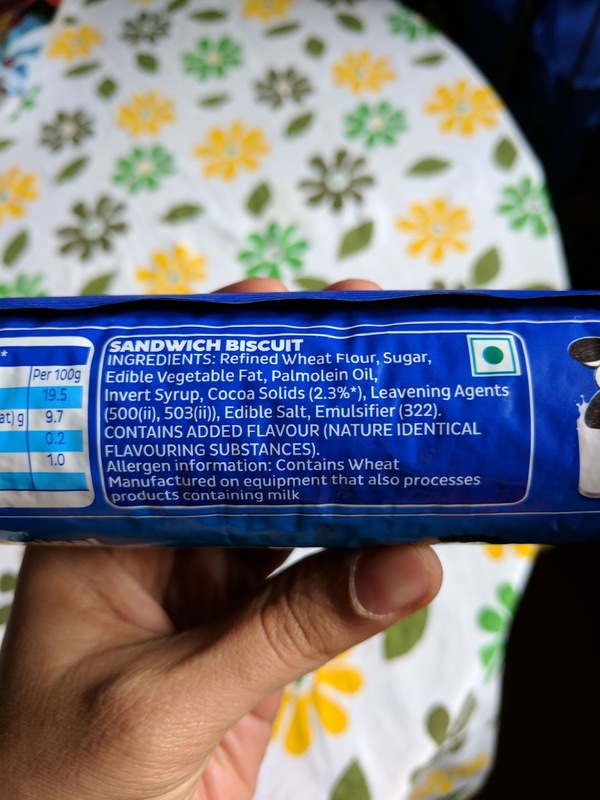 Most of us are aware that these biscuits are made with maida and loaded with sugar. But I wanted to dissect their ingredients in more detail. This has become my latest obsession, if you have been observing my earlier posts. It is just a fancy name for maida. The wholewheat flour is processed and bleached with many chemicals. The bleaching process produces a by-product called “alloxan”. Alloxan is known to destroy the insulin-producing cells (beta cells) in pancreas, causing diabetes. Needs no explanation. Being the second listed ingredient next to maida, these biscuits are high in sugar. In 100 gm of serving, 38.6 gms of sugar is present. One tsp of granulated sugar equals 4 gms. 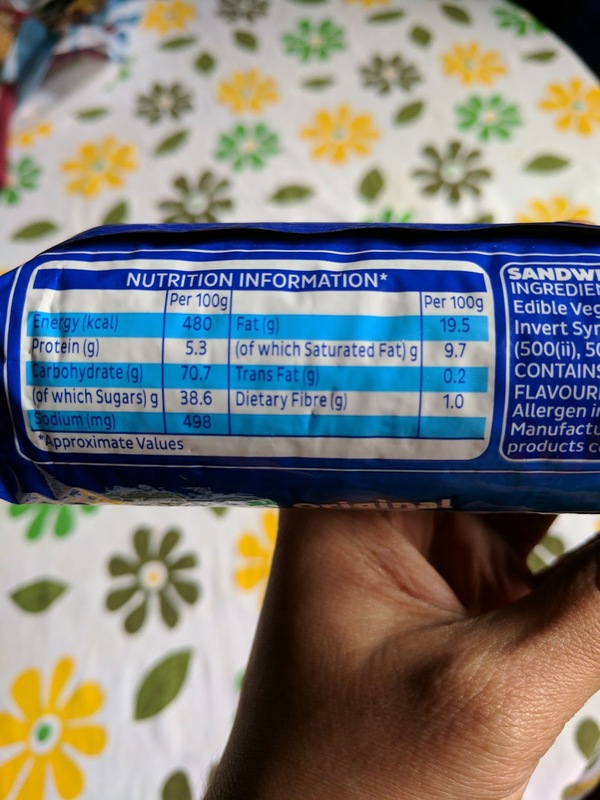 So this means, that a 100 gm of serving of this biscuit has around 9.5 tsp of sugar. The pack size of 150 gms has 15 biscuits. So 100 gm size translates to 10 biscuits, which implies - one biscuit has around 1 tsp of sugar. Usually kids would have atleast 2-3 biscuits at a time, so 2-3 tsp of sugar goes into their system, along with maida, fat and other chemicals mentioned below. This category is used for all hydrogenated oils, partially hydrogenated oils, margarine, Vanaspati etc. Partially hydrogenated oils turn into trans-fats and food brands need to declare the same in the packaging. Transfats increase the likelihood of heart disease, stroke, cancer and many other ailments. In Oreo biscuits, the trans-fats quantity is 0.2 gm per 100 gms. The total fats content is 19.5 gms per 100 gms, which roughly translates to a little more than 4 tsp of oil in 10 biscuits (1 tsp of vegetable oil equals 4.65 gms). Palm oil is extracted from the flesh of the fruit of a certain variety of palm species. This oil is semi-solid at room temperatures (high in saturated fat). When this oil is refined through fractionation, it separates into palmolein oil, which remains liquid at room temperatures.Though there have been reports that palmolein oil increases LDL levels in human body, the key issue with production of this oil is linked to several environmental issues such as large-scale deforestation, habitat degradation, climate change, animal cruelty and more. Invert sugar is sucrose (a disaccharide of glucose and fructose) that has been broken into free glucose and free fructose. This is a similar composition as that of High Fructose Corn Syrup (HCFS). It reduces crystallization in the final product, resulting in longer shelf life. Gives the chocolatey taste that kids love. Used mainly as a raising agent. Prepared synthetically. All baked goods use a combination of baking powder and/or baking soda, which aren’t good for your tummy if consumed in excess. Irritant to mucous membranes, alters pH of urine and may cause loss of calcium and magnesium. The pack states that the sodium content is 498 mg per 100 gms. 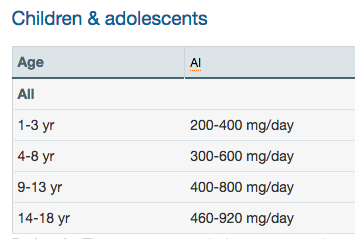 If the child eats 2-3 biscuits a day, then he/she would have consumed around 150 mg of sodium - 30% of their sodium requirement already exhausted for the day. Lecithins are extracted from soy (if the pack indicates vegetarian) and is likely to be genetically modified (if sourced from countries like US and Argentina). It is one of the most commonly used additives. The role of an emulsifier is to ensure better combining of oil and water. Emulsifiers can also be of animal origin, so if you are a vegetarian or a vegan, you need to check the source of lecithin. In Oct 2013, there were reports that talked about how Oreo cookies are as addictive as cocaine because of the high fat and high sugar present in them. Let’s not spoil our children’s health by buying such unhealthy, packaged foods. If your child asks for this specific brand, then show them the videos/pictures where a rat is shown eating these cookies. After my daughter saw one such video a while back, she branded them as “rat biscuit” and never asks me to buy it anymore. Please make every parents aware of the evils of packaged food. Thanks for the article. Keep up the good work. Oh man this brand is beyond its skin...in chocolate, icecream, milkshakes etc...i wonder how it retians its crunch even in icecream with 6-9 month shelflife. No dissolve in milkshake like other food items. It does not leave the teeth even if u brush twice after eating it. I hate it! !